Tyson Fury insists he was never going to wait around for his shot at Wladimir Klitschko. The unbeaten Morecambe giant is the mandatory challenger for the Ukrainian great’s WBO World Heavyweight title but first faces Germany-based Romanian Christian Hammer at London’s O2 Arena on February 28. It will see the 23-0, 26-year-old, risk his number one spot with his European and WBO International titles also on the line. Fury, who returns to training on Monday after his victory over Dereck Chisora in November, said: “I have to fight in between. “I can’t just wait for Klitschko not knowing if he is going to fight me. “I’m not on Klitschko or anyone else’s time. “I’ve got this one and I might have even two (fights) before I face Klitschko. Klitschko is set to defend his titles against unbeaten American Bryant Jennings in April with promoter Frank Warren hoping to secure a late summer shot for Fury. Warren said: “We can’t sit around waiting for Tyson Fury’s opportunity to take his mandatory shot. “He’s only had two fights in two years due to injuries to Dereck Chisora and David Haye. Hammer, 17-3, comes into the fight on the back 10 straight wins and knows he has nothing to lose in London next month. The former WBO European Champion said: “I don’t feel any pressure. “I’m ready to fight and in the best shape of my life. Fury said: “Christian is a good boxer, a good mover and a good puncher. 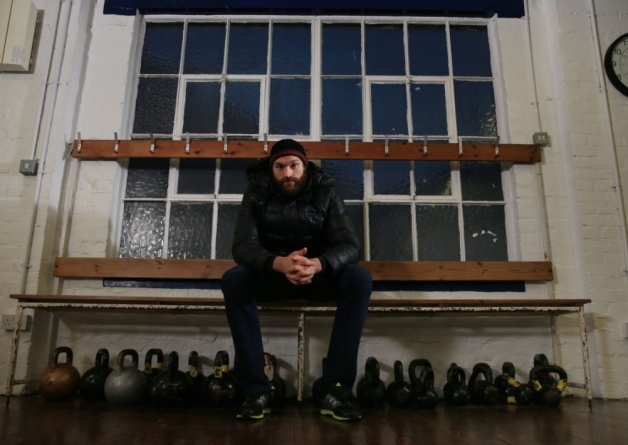 Fury against Hammer will headline the Risky Business show on February 28 live on BoxNation.